From floating phone pads to incredibly portable power banks, here are a few smartphone and electronics charger products you might want to keep on your radar. How many times have you had the pain of dealing with a dead battery when you’re out and on the go? And how much better has battery life really gotten over the last several years? While smartphones and other mobile devices have become significantly more advanced over the years in a number of ways, battery technology doesn’t really make the Top 10 (excluding that cool exploding trick). Lucky for us, some exciting, innovative companies are at least moving the ball forward when it comes to charger smarts, speed, and certainly style. Remember that levitating cocktail glass we wrote about? Well this is kinda the same thing, except OvRcharge charges your smartphone while it floats in the air. And rotates. The base has enough power to lift and charge devices up to 600 grams, which covers you for a 10 inch tablet. Some pre-orders seem to be available through the OvRCharge Indiegogo campaign starting at $209 CAD (plus shipping). Estimated delivery date is February 2017. Looking to charge your Apple devices at home without having to worry about cables and messy wires? 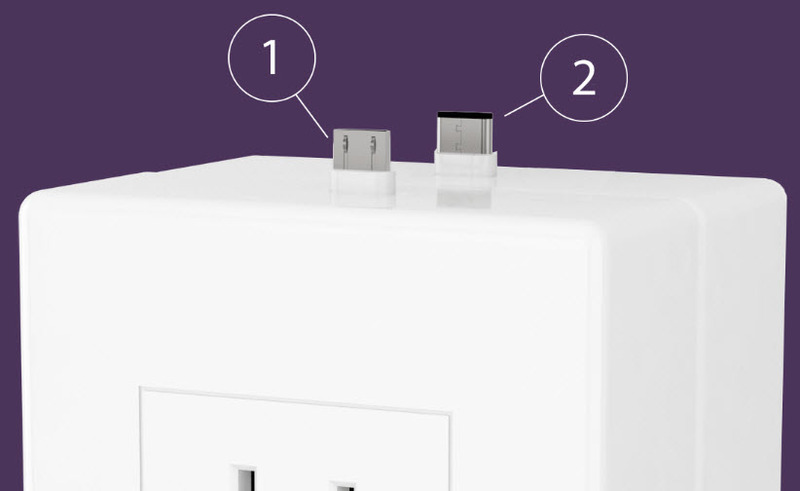 Unlike traditional outlets with USB ports for inbound jacks, this device has the charging jacks on top of the wall unit itself—users stick their iPhone or iPad on top of the outlet without using up space for regular-pronged plugs. The modular design means they also are stackable (horizontally) so that users can charge 4, 6 or more at once from one outlet. 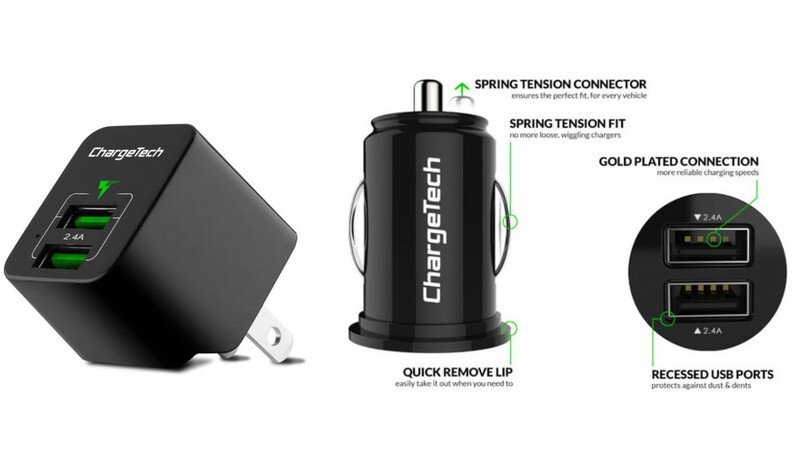 Pricing for a single thingCHARGER starts at $59.95 on their website. ASAP Connect is an “18K gold plated magnetic USB cable”; the charging tip just snaps to the port on your mobile device rather than actually going inside it. The technology used in the device makes it yank safe (you can just rip the device away), easy to connect in the dark (there’s some light stuff going on), and users get a charge going easily with one hand (it just pulls into place). Their Indiegogo campaign raised over $500,000 this summer. Pricing for that cable starts at $19 ($34 planned retail). Oh, and they’ve also launched another Indiegogo campaign (ASAP X-Connect) that has a few days to go; apparently, it’s the “World’s first cross-device compatible magnetic cable” (one cable for all devices), and this campaign is about to run away with another $186K. SIMPIZ claims to be the fastest portable power bank (and base) on the planet. It fully recharges in 18 minutes and three minutes of charging enables it to charge a single phone. Their Indiegogo campaign raised almost $290K. ChargeTech is described as “The world’s smallest phone charger with two hi-speed USB ports.” It’s super tiny, it’s a little bit bigger than a large coin (1.4 inches long), and apparently it charges stuff twice as fast as the standard / included chargers. They come as either a wall charger or a car charger. The device is being sold through the company website for $25 (and Amazon, though at the time of writing this, the Amazon units seem to be sold out). Their Indiegogo campaign pulled in just under $175K last Spring. If for no other reason, this device earned a spot on the list by raising a mind-blowing $2.55 million on Indiegogo this year. 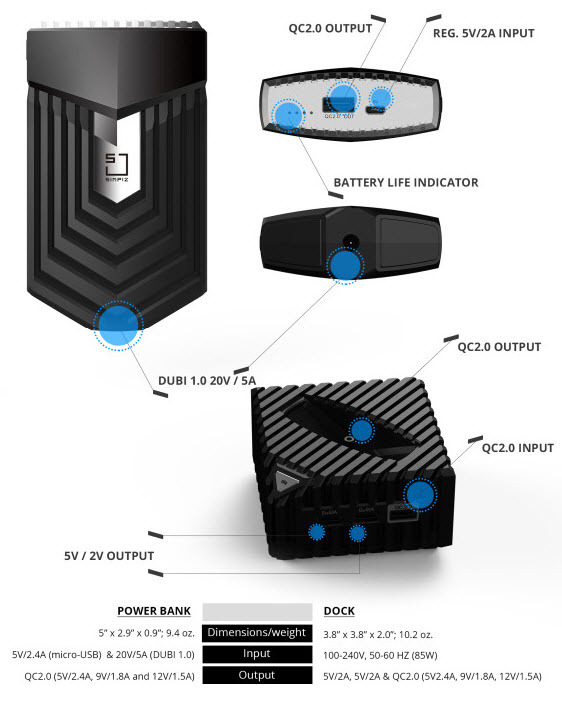 According to the makers, Omnicharge is the “World’s smallest power bank with (1) AC/DC Power Outlet and (2) USB Fast-Charging ports for charging or powering nearly any device.” It also has wireless charging on the top of the device, and what the company refers to as, “intelligent charging”; the intelligence registers what kind of device is connected, determines its optimal charge requirements, and then distributes the power accordingly. In short, this thing charges almost anything in 2 hours and it weighs under 2 pounds. 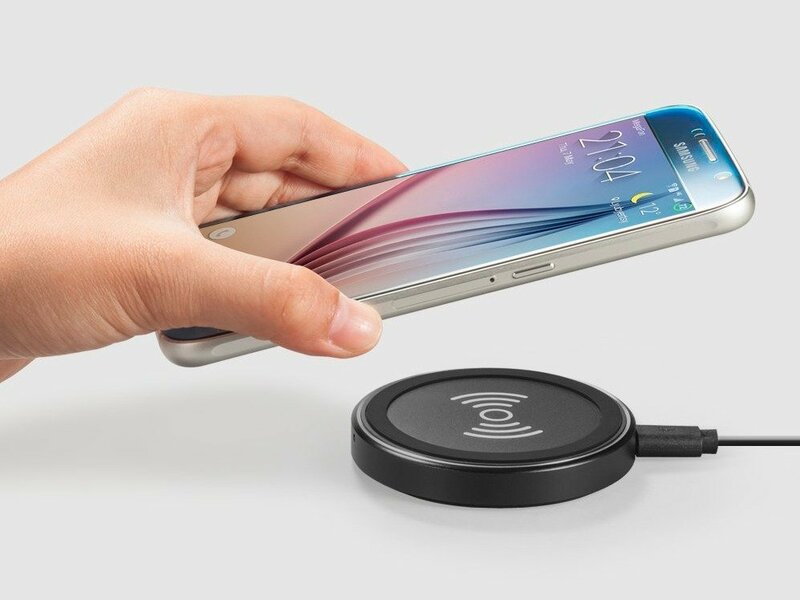 One of the more cost effective devices on this list, the Anker PowerPort is an entry level wireless charger pad selling for just $14. It features built-in temperature control to prevent overheating and an LED light that shows the charging status of the device. Nothing too fancy, but functional, convenient, and very very affordable. The TYLT VU is a premium wireless charger that features three charging coils and free positioning technology, allowing users to place their phone anywhere on the pad to receive a charge. The 45 degree lounge-chair angle makes for great visibility and interaction during the charging. It also looks damn fine for a phone charger. The charger sells for $49.99 on the official company website. SonicPower is a wireless charging phone mount for your car that currently works with the iPhone 6/6S. It’s one part black case, one part magnetic charging base (so yes, you get a case out of the deal). Similar to the ASAP cables, the device just snaps into and out of place without an actual port insertion necessary and the magnets are allegedly strong enough to keep the attachment on bumpy rides. The other selling point: the SonicPower claims to charge phones 50% faster than the industry standard Qi charging technology. The device is currently available for preorder via Kickstarter for $29. The chargers you share are great, with many compact and eye-catching designs. I like so much. Looking back at the first chargers available for smartphones, I never would have thought they would end up in the “gadget” category themselves. Its just a simple process and none of them really work better than the next, so why would you pay for one that doesn’t come with your phone? I like the TYLT VU because, as it mentions in the description, it has great visibility while charging. This is very good for at your desk or the counter top in the kitchen while making dinner. I never have any issue with the charger that comes with my phone. And now, most companies have added “turbo power” chargers so you are not really ever waiting very long to get some juice when you need it. I am not going to lie. I would love to sit and watch my phone levitate while it is charging. I waste me time in my other ways these days anyway. I cannot believe that wireless charging has taken off the way that it has. I figured it would have fizzled out by the next year. I think that just about any company can get into this space and make some money. They ALL do the same thing, charge. Just in different ways and wanting one over the other seems to be reserved for whether or not you want a cool conversation piece or not.